In grade school, I was obsessed with writing stories where I flew to Mars. But my first attempt at writing as an adult was a chapter book called Brother Rabbit, Brother Skunk where a skunk was adopted into a family of rabbits. I’ve always loved reading, but I was in my 40’s before it occurred to me that I could write. I was in a group setting where the ice-breaker question was “What is your secret dream?” It surprised me that what came out was “I want to be a published children’s author”. It was few more years before I actually started writing. Lots of people helped me become a better writer through workshops and critique groups. SCBWI has been instrumental in my writing journey. Do you exclusively write young adult or have you written in other genres? 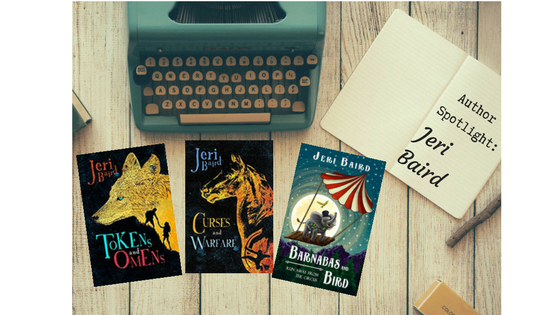 I write young adult and middle grade. It’s hard to achieve any kind of balance when writing a first draft. I’m either obsessed or too tired from work to do anything but think about it! I can revise in short time frames, but first drafts, for me, require time and energy. And I frequently have to go somewhere else to write, as home distractions keep me from being productive. I don’t want to know how much I’ve invested in local coffee shops! How long does it generally take you to write a first draft? How long do you spend on revisions? Each book is different. I wrote and revised Tokens over a few years. Curses was done in a year (I had a contract to fulfill). Barnabas and Bird was written in two months and didn’t take much revising. 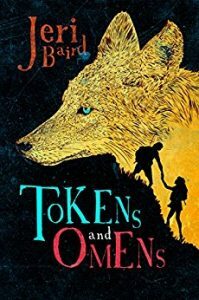 With Tokens, I read a lot about the middle ages and the Romani people. Eventually, I abandoned that setting in favor of a tribal one. I seem to spend an inordinate amount of time on researching names! Not a big secret – I always write by hand with a pencil and notebook. I don’t plot, so I seldom know ahead of time what’s going to happen. I usually “get” the end about 25% of the way in, and I write toward that. I’m often surprised at what happens. Sometimes I’m appalled at a plot twist, but I leave it in, thinking I can always take it out later. I’ve never taken one out. Poor Zephyr in Curses had one of those. No, but I’d love to see England, Scotland, and Ireland in person! When I’m close to finishing a novel, I always get an idea for my next book. Who knows where those come from? Not me. 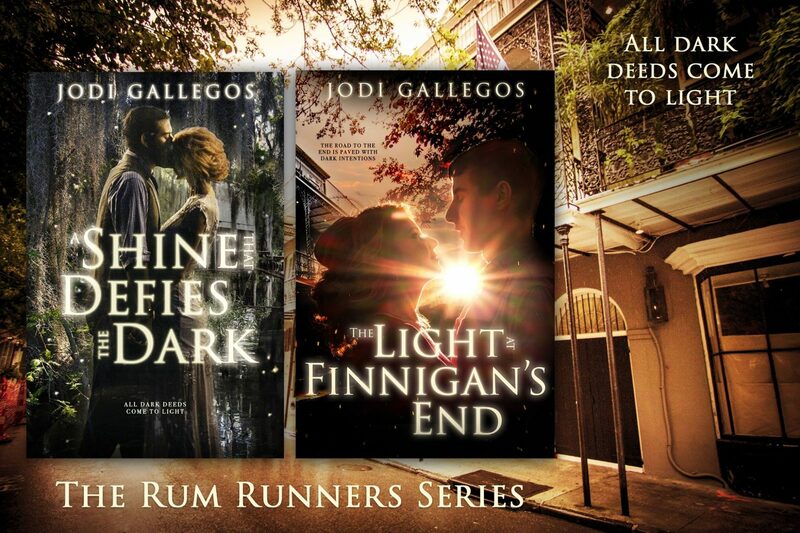 My novels have varied from contemporary to fantasy. Fantasy is always my favorite, but I also read contemporary, especially in middle grade. You can check out my Goodreads bookshelf to see all the books I’ve read in the last few years. I often re-read my favorites. And here’s a quirk – I almost always read the end before I get there. Especially in a tense section, I need to know that things are going to turn out all right. It never spoils the book for me to know how it ends. Yes. 🙂 What? You think I’m going to tell? Nope, but there are parts of myself in each character I write. Stoner by John Williams. I loved it so much, I’ve read it twice. No one I’ve recommended it to has had anything good to say about it. Name one book that was a guilty pleasure. Of course! I want to know what other people will see if they look me up. As a writer, what animal would you choose as your mascot/avatar/patronus? A spider. Metaphysically, the spider is the guardian of language and the magic of writing. Setting is something I struggle with – finding a balance between too much and too little. 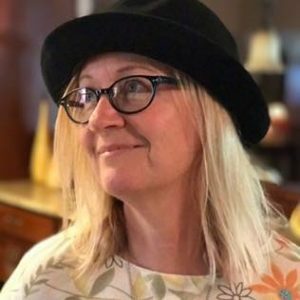 I share my story of becoming a “published author”. It wasn’t quick or easy, and I hope I encourage other writers to never give up. I remain a part of my critique group, letting the others know that I still need help, and I’m always happy to meet with aspiring authors. Where can people find more about you? In Puck’s Gulch, sixteen-year-olds undergo a dangerous trial known as the Quest. During a time of magic, Fate hands out tokens and omens based on their behavior. Zander trusts Fate. Alexa only trusts herself. Now, Fate has given them each a special gift—Zander sees secrets he doesn’t want, and Alexa’s thrilled to find she can control events through her embroidery scenes. After Zander and Alexa each earn a omen that makes surviving the quest nearly impossible, they must break the rules and challenge Fate together. If they don’t, one will die. And Fate has made it clear—she won’t be cheated. The day twins Zander and Alexa became adults, Moira, the embodiment of fate, revealed that Zander would become a leader of warriors and Alexa would be a fortuneteller of great power. Moira instructed the twins to use their talents to prepare their village, Puck’s Gulch, to fend off an imminent invasion. 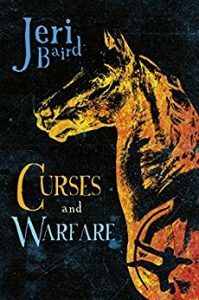 Now, six months later, Zander is struggling to convince the quarrelsome villagers of the impending danger and unite them in a single cause to protect the village. Meanwhile, Alexa struggles to get along with her mentor, the fortuneteller Melina Odella. As the battle draws near, the twins and their few allies are further than ever from their goals, and all the while traitors lurk in the shadows, taking every opportunity to bring Puck’s Gulch to its knees. 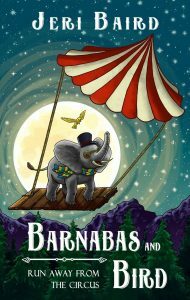 In the tradition of timeless stories, BARNABAS AND BIRD RUN AWAY FROM THE CIRCUS blends humor and poignancy to create a story of friendship and loss. Barnabas is self-centered and a bit too verbose. His best friend, Bird, loves him anyway. Devastated to learn he’ll never grow big enough to join his family in the world’s largest elephant act, Barnabas struggles to show Papa he can be big in other ways. Challenged by his older brother, Barnabas embarks on a quest to prove he’s brave. Of course, his tiny canary friend joins him. With top hat, goggles, a map, and a lucky peanut, the duo fly across the country on a raft guided by a wind that whispers destiny, destiny. Barnabas encounters a whale, a herd of bison, crows, and cows, but they aren’t enough to make him feel brave. The duck, duck, and goose confuse him with their questions. And those s-s-s-snakes on the island in the Great Lakes! Shudder! Then, Barnabas discovers Bird’s big secret. It’s almost too late before Barnabas learns that becoming a true friend might be the bravest thing he could do.